Over 30 gloopy, gooey, colourful diy slime recipes will mesmerise youngsters by showing them how to make slime. Play, poke, push, pull, and pop awesome easy-to-follow slime recipes, all of which use inexpensive, accessible, and safe everyday products. Create Monster Slime with googly eyes, tuck in to some yummy edible chocolate slime and see the rainbow with unicorn slime! 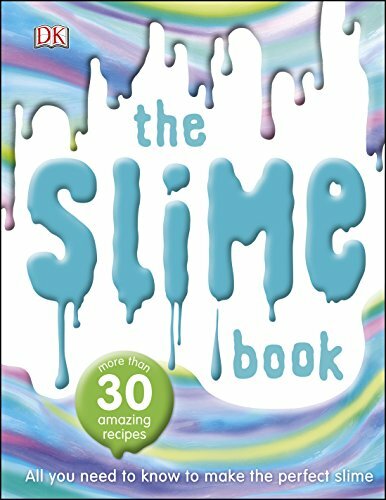 All projects in The Slime Book are shown with clear step-by-step images and a vibrant final image of the slimy stuff. Learn the science behind these slime creations with amazing fact boxes and carry on the fun with recipe variations. The latest addictive kids' activity, making your own slime is the ultimate sticky and squidgy fun - are you ready to create slime? Then get goo-ing! All slime recipes are borax-free.